[At Tapuach Junction] there’s friction between settlers and Palestinians because there’s a bus stop there. At the junction? Yes, because there are bus stations that serve both Palestinians and settlers, and the settlers always wanted, there was this unwritten law, that the Palestinians must stand at least two street lights away from the bus station. This means that there’s a joint bus stop, but the Palestinian can’t wait at the station, he has to stand, say, 40 meters away. And the settlers always wanted us to move the Palestinians as far away as possible. We’re at the junction and all the time settlers say to us: hey, there’s a Palestinian coming closer, there’s a Palestinian that’s doing this or that, and there were situations that all sorts of Palestinians, like old men sitting at the station and then the kids of the settlers would often ask us to remove the Palestinian from the bus stop and we didn’t always agree to do it. Sometimes yes and sometimes not? It depends on the Palestinian. Yes, once, there was this old guy at the station, it was a miracle that he could even walk. And what are you asked to do? 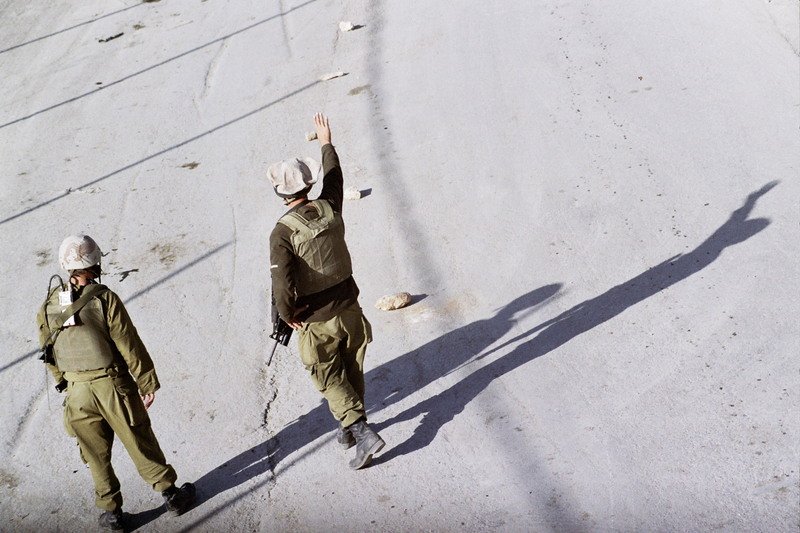 “Soldier, soldier, the Palestinian is in the station.” And when we didn’t agree to do it there was friction. What do you mean by ‘friction?’ “Hey, it’s your job, there are orders, we’ll tell your commander.” And that caused a bad atmosphere. And what is the cause of this guideline? From the company commander. The order is about the bus stop. But, formally, it’s a joint bus stop? Didn’t they build another bus stop for the Palestinians? No. it’s a joint bus stop. It would rain and they would stand in the rain? Yes, they look for something to hide under, they find a tree and stand under it.